What is BPM? How do I know it can address my challenges? Where do I start? Get the answers to these questions, and more, with the BPM Guide! Business process management is all about connectivity. Whether those connections are between employees, computers and applications, or employees and customers, they are vital. BPM software provides automation for the management of these connections and helps ensure proper integration, monitoring, and information aggregation. BPM is a continually evolving term that has come to mean many different things over the past few years. Today, BPM software includes several components. A process engine is responsible for executing process flow, as well as assigning any necessary manual activities. It automates applications and activities during the process, ensuring that each activity is handled by the appropriate application. The process designer is a trained manager who analyzes the process throughout its function. The rules engine manages the flow of information, while process analytics provides ongoing feedback about the process for continual development and refinement. These seemingly disparate elements combine to form a cohesive whole that does one thing – help connect people and applications to the correct recipient, with accurate information flow for data dissemination. This model provides businesses of all sizes with the benefits they require, the process streamlining needed for optimum productivity, and accurate data flow. By instituting BPM software, workflow is streamlined, information flow is accurate and targeted and analysis of the ongoing program provides immediate, real-time information. This information can be used to modify the process as needed. Appian offers businesses of all sizes the BPM software suite they need to maximize the benefits to their company. The likes of the US Army and Sirius Satellite Radio both use this program for their needs. These scalable solutions provide benefits for everything from enterprise level businesses to mid-size companies. 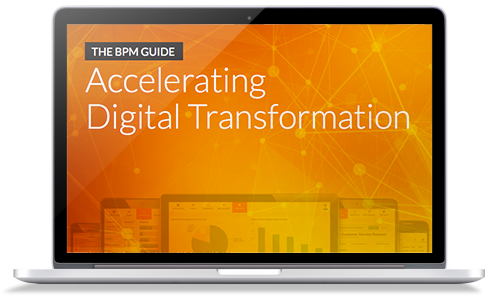 Ready to Learn More about BPM?